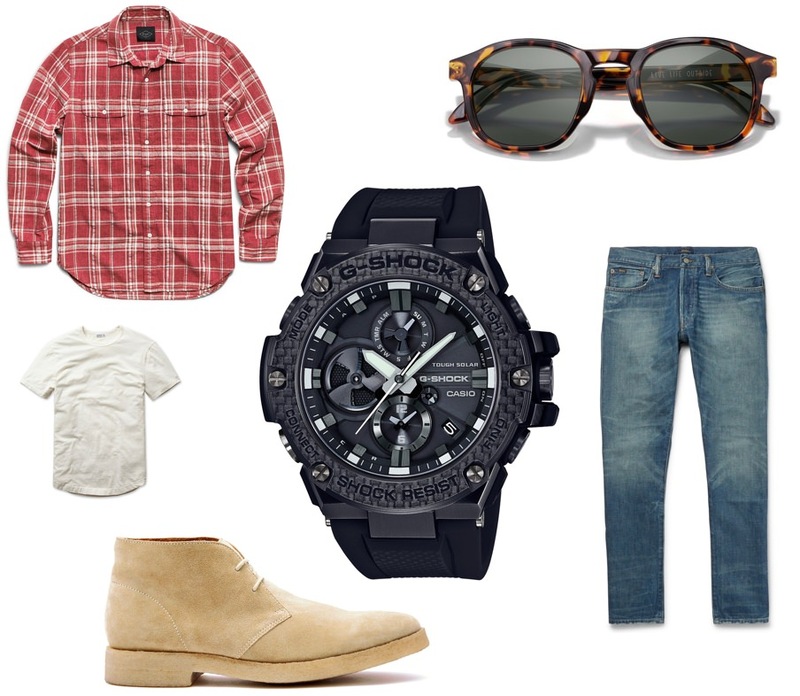 What to Wear With a Rugged Watch - G-SHOCK G-STEEL GSTB100D-1A | Valet. 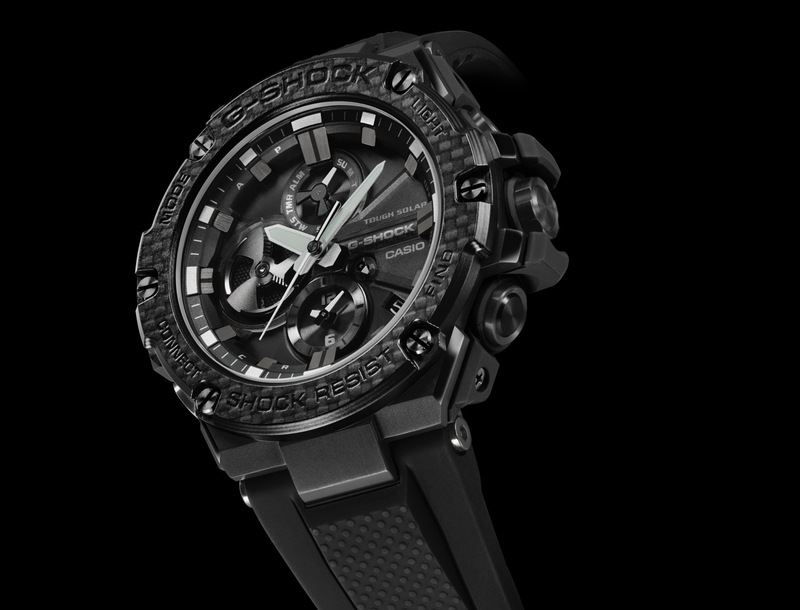 Known by many as "the toughest watch on the planet," G-SHOCK has built its reputation on crafting timepieces that are as rugged as they are reliable. 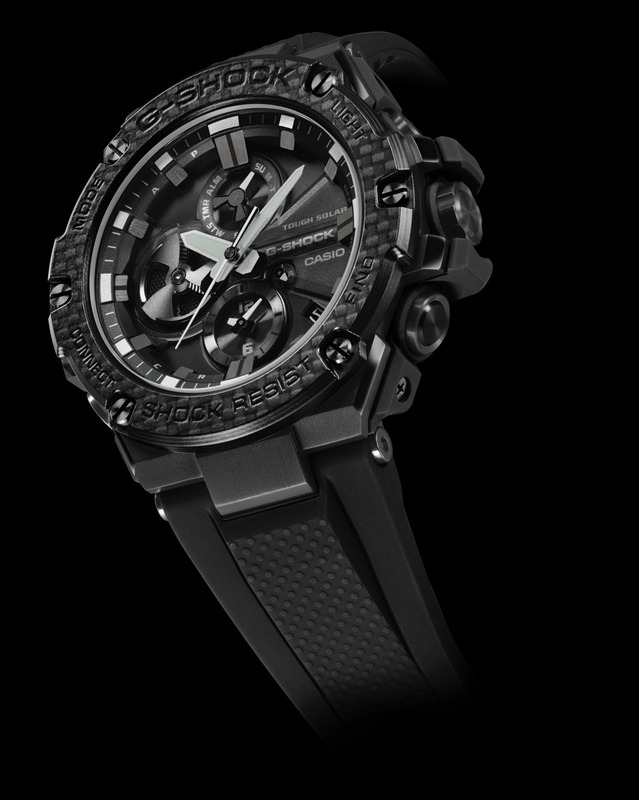 One of their latest watches, the GSTB100X-1A, is the first timepiece in the G-STEEL connected lineup that's been outfitted with a carbon bezel—the product of state-of-the-art materials and innovative technology. The solar-powered watch is equipped with Bluetooth, allowing you to connect it to the G-SHOCK smartphone app at the press of a button. What's more, the hardwearing timepiece is the kind of watch you can wear in almost any occasion. It's cool and comfortable but the stealth all-black styling ensures you look and feel put together. Here are three ways we'd wear it this summer. 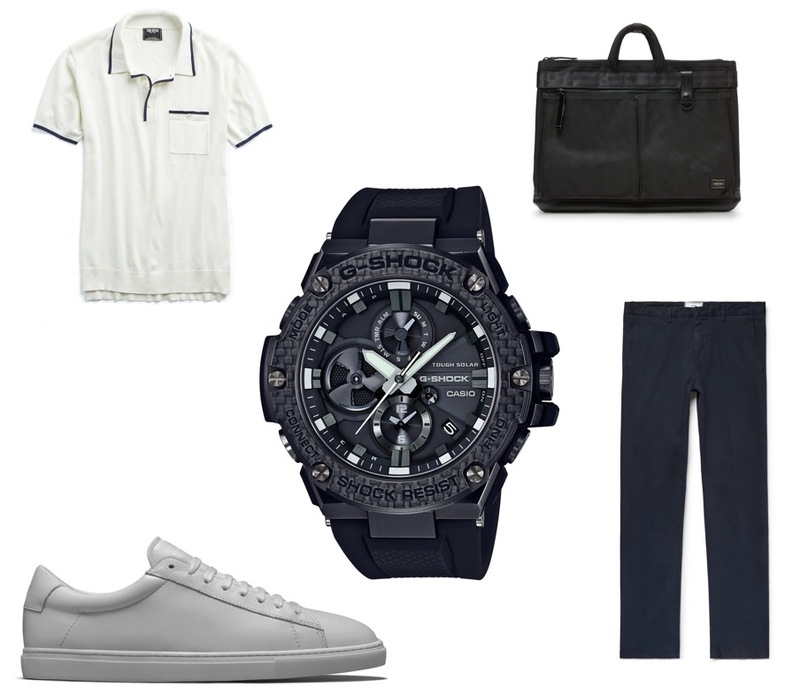 Anything but dainty, this isn't a dress watch but the sleek monochromatic styling works with an office-appropriate wardrobe. Especially a more casual summer kit like a knit polo and some lightweight chinos. $405 by Porter-Yoshida & Co. 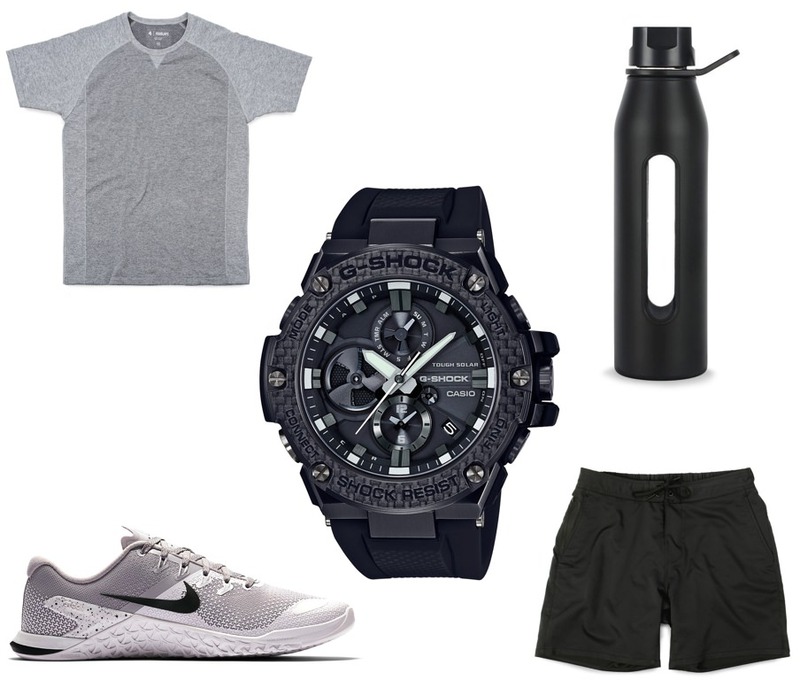 Whether you're jogging city sidewalks, flipping tires in the gym or paddle boarding at the beach, this rugged timepiece (complete with a durable rubber strap) is built to withstand the more rigorous of workouts. Heading out for a quick weekend trip? This watch is engineered to make travel easier with its dual dial World Time and the ability to change the time easily through the Bluetooth-connected app.